Followers of Austrian Economics believe in free market capitalism. Austrian Economics comes from the late 19th century Austrian School of Economics. The Austrian School of Economics focused on the concept of **methodological individualism. ** Followers of ‘methodological individualism’ say we should look at the social sciences from the individual decision markers’ viewpoint. We should not look at the social sciences purely through statistical analysis. Austrian Economics promotes liberalism and laissez-faire economics, i.e. let the market find its way. Austrian Economics discourages government interference. In fact, it states that the less government interference there is, the better. 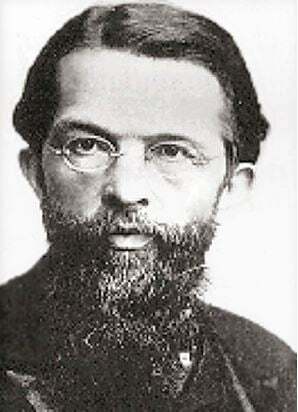 Austrian Economics evolved from the works of the Austrian School’s founder Carl Menger (1840-1921), and Austrian economist Eugen Böhm Ritter von Bawerk (1851-1914). Contributions from Friedrich Freiherr von Wieser (1851-1926) and others also helped Austrian Economics evolve. Menger follower, Friedrich Hayek (1899-1992) believed strongly that the state should not intervene in the economy. Hayek, an economist and philosopher who was born in Austria-Hungary, became a British subject in 1938. Austrian Economists predicted the collapse of the command-economy regimes of the Soviet Union and its satellite countries. In fact, they were the first to predict the eventual collapse of communism. According to Hayek, ‘markets work perfectly.’ He insisted that market prices balance supply and demand. Hayek believed that the perfect market was one with easy access to information and no obstacles to entry. Additionally, Hayek claimed that all market participants determine the price of goods and services. By market participants, we mean consumers and suppliers, or makers and buyers. Ludwig Heinrich Edler von Mises (1881-1973) was another Menger follower. Mises was an economist, sociologist, and classical liberal who was born in Austria-Hungary. He feared the Nazi takeover in Switzerland, so he emigrated to the United States in 1938. Since the middle of the 20th century, Mises’ thoughts have influenced the American libertarian movement considerably. Austrian Economics became very popular during the 2007/8 global financial crisis. It was also popular during the Great Recession that followed. The Austrian School had forecast that too much debt, resulting from low interest rates, would lead to investment bubbles. The School added that investment bubbles would burst, thus causing boom-bust crises. It had made the forecast more than a century ago. Major bubbles often precede smaller ones that are premature recoveries that do not last long. We call them echo bubbles. Austrian Economics contrasts sharply with Keynesian Economics. Keynesian economists claim that aggregate demand determines economic performance. In contrast, Austrian economists insist that the Economy’s supply-side drives the business cycle, rather than demand. The post-2008 quantitative easing implemented by the US Federal Reserve would have horrified Mr. Menger. The Federal Reserve System (Fed) is the central bank of the United States. Many other advanced economies also implemented **quantitative easing after the 2007/8 financial crisis. ** ‘Quantitative easing’ is a central bank policy in which it creates new money electronically. It then purchases government bonds and other financial assets with that money. The aim is to directly increase private sector spending, and subsequently boost economic growth. Supporters of Austrian Economics say that when interest rates are too low, over-investment will follow. Over-investment can result in over-production. Over-production can lead to a crisis. During a crisis, Austrian economists argue, supply drops until it eventually equals overall demand. Only after supply and demand equal each other can a new cycle begin. Hayek believed that supply drove the economy. Keynes, on the other hand, insisted that aggregate demand was the driver. The main challenge is not inflation, says Austrian economists, but too much investment. When there is more money than there should be, it can lead to a crisis. Additionally, excessively-low interest rates can also result in serious economic problems. When there is too much money in the economy, demand rises faster than supply. When demand outpaces supply, inflation rises. In order to prevent a crisis, we need to reach interest rate levels ‘naturally’, say supporters of Austrian economics. In the video below, Steven Horwitz, an American economist of the Austrian School, explains why he considers economics to be among the humanities. Rather than trying to develop elaborate mathematical models, Horwitz focuses on people’s choices and perceptions.